The story of a failed Portsmouth youth academy player on his search across the globe for a placement in management. "Right come on guys! Back in." I shouted to the Under 18's in the gleaming Miami sun. I wasn't sure if my life had taken an upturn since the release from Portsmouth twelve years ago. I came through the Pompey ranks along with the likes of Marc Wilson and Gary O'Neil and with a loan spell at Stoke in 2005 being my make-or-break at Fratton Park, I only played two league games for the Potters and was then released the same season. A spell in the amateur divisions saw a move to Bognor Regis in 2008 as my last chance playing football at a reasonable level, but my release just a year later saw me go through a realisation that I was not going to make a living out of playing the sport. I moved to take my first coaching badge in Britain aged 24 years old. After achieving my National B License in 2012 with the English FA, I took the punt on moving to Miami after receiving an offer from David Beckham's prospected Fútbol Miami team in the USA. I went over to coach the prospected Under 18 teams over in Miami, but after almost five years of coaching the youngsters, I felt that it was time to get back into football and come back to Europe. This was my last training session with the American youngsters. "Right boys, as you may well know after having chats with a few sets of your parents, this is my last day coaching you lot," I began, as the players began gathering round me in a semi-circle. "It's really been a pleasure working with all of you for all of these years after Beckham's project first got announced. Football in the US has the capacity to become huge across the world. "David [Beckham] knows his way in football and I have no doubt in my mind that you lot are the foundations for a very big project that will eventually find its own success. I'm delighted to have been a part of all of this and I wish you all the best of luck." I stated to the young players. One of the brightest talents that I had worked with, Alex Henriquez turned round to me and asked me: "But what are you going to do now, boss?" I had my own image of what I wanted to do now, but it was how I was going to achieve it that I hadn't worked out. 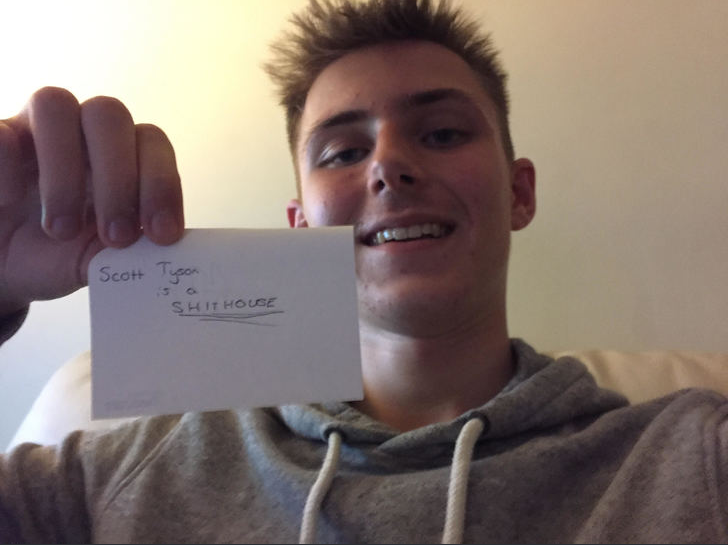 I really like the writing style mate! Excited to see where this will go! With the main European leagues in full swing, I believed that a few sackings would come about, particularly with troubled clubs near relegation zones or those with underperforming managers. I had sent my name out and my experiences to different clubs across the continent, English countries like England, Ireland received my CV as well as other nations like Spain, Italy and the Scandinavian countries. I hoped to receive a call from a team in Britain but I knew that managerial experience was an absolute must in the English lower divisions. However, it was to my shock that my phone started buzzing with a Swedish area code at the beginning. "Mr. Clark?" the voice started as I swiped the call to the right. He had a slight American twang in his voice which most Scandinavian's do when they speak English, which I assumed originated from all of the Hollywood movies in popular culture. "Speaking," I replied, I could only assume that this was a job offer due to the fact that none of my friends live in Sweden or have a Swedish phone number. "Who is this?" I enquired, almost excitedly. "Good afternoon, Mr. Clark. This is Marcus Mohammad, I'm the chairman of Team Forengruppen in Sweden. We received your name and number through the agency you sent it to here in Sweden." he told me. I decided to take a seat to speak properly to Marcus. "We'd like you to fly over to Umea. Tonight if you can. We want to offer you a job here as manager." "Sure. On my way." I dropped the phone, dragged my dusty suitcase out of the attic and packed three nights worth of clothes. I shouted to my wife as I stuffed the suitcase into the car, telling her I was going away for a few days before starting the engine before she could complain. I arrived at Manchester Airport just an hour before the flight to Stockholm boarded. My ticket bought and how I planned to tell my wife that I was moving to Sweden for a job. But this was my life. I wanted this job so much that I had to go for it. As the plane landed I had my train tickets to Umea booked and I was prepared with a Spotify playlist for the two hour journey to the town. There wasn't much written about the club on Google, even in Sweden. I just knew that they finished 5th in the third tier of Swedish football last season. The train rolled into Umea's train station and a representative was there to meet me. He looked terribly greasy but I suppose this was the equivalent of meeting a rep from a League One club like Wimbledon. I hardly had high hopes for the class of people I was meeting. He ushered me over to a Range Rover in the car park before taking my bags and telling me about the chairman Marcus Mohammad and the director Joakim Forsberg. 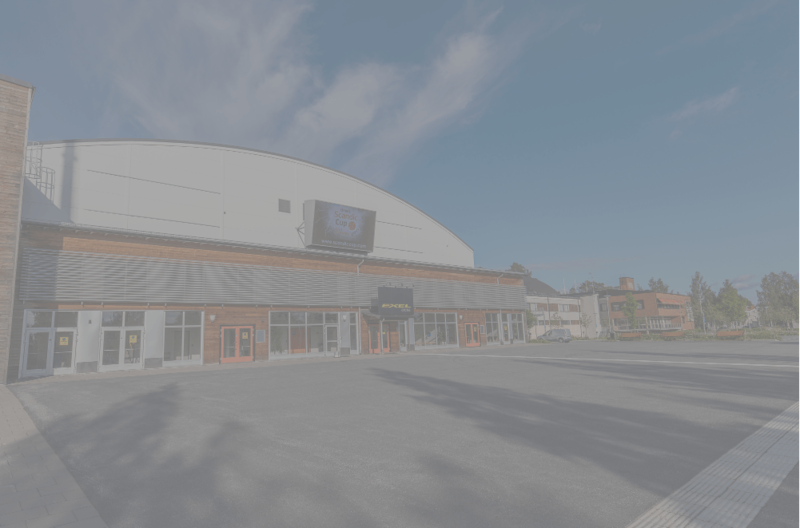 As we arrived at the club's stadium - Umea Energi Arena - and the representative, who I now knew to be called Jonas led me to the boardroom where Mohammad and Forsberg where sharing a cigarette. The setting was all very 1950s Britain-esque. Handshakes were exchanged before I sat down across the desk from the two board members. Small-talk ensued before getting down to the business of a management opportunity. "So, Mr. Clark, we received your CV from a local agency working with the Swedish FA, and we were very impressed with the calibre of clubs you played for and your experiences working under David Beckham's project in Miami with the youth players," he began. "This was very promising for us here as we have not been around as a football club for long, like Miami FC and we emphasise the importance of youth development heavily." "Yes, I personally entrust my scouts with a lot of responsibility in that area to scour the local area for young talent. It is then up to me to coach these players up to the required standard so they can play first-team football as soon as possible." I explained to the two gentlemen. I began to take the lead in discussions by now, whether the men were happy with that or not. I wanted to appear confident. "Now, I understand that this team finished 5th in this division last season?" Forsberg and Mohammad looked at each other with a confused expression. I immediately felt nervous and slightly embarrassed that I had got my facts wrong. "We wish!" Joakim Forsberg laughed. "If we finished 5th this year we would still have a manager!" Mohammad continued on after Forsberg's comment. "We only survived being part of the relegation play-off this season by three points! We finished 11th this time around and we are one of the better teams in the division." Mohammad explained to me, as I sat opposite with a rather red face. "We want a top five position in the league next season and we are willing to pay you the equivalent of £500 per week until December 2018. Are you interested?" Mohammad asked. I thought the interview would have been a lot trickier than a simple question, especially after embarrassing myself on the facts just five minutes ago. Marcus Mohammad could see the answer to his question was written across the expression on my face. Interesting opportunity in Sweden - best of luck. Arriving at the club I realise that there is a lot of room for improvement, especially considering the teams position relative to where the pundits saw the club finishing at the end of last season. Jonathan Lundback was the team's top scorer last term with 8 goals in 25 games in all competitions, so I think a good finisher is a priority in the upcoming transfer window as well as more depth in the defence, despite having one of the better defences in the league. However during last season a couple of defenders left the club on free transfers, leaving behind a makeshift defence for a large proportion of the season. Both goalkeepers in Ahmed Al-Fadli and Jonathan Renman got similar amount of footballing time in goal last season and both of them didn't do too badly with Al-Fadli conceding 17 in 14 games and Renman conceding 14 in 12 games. Al-Fadli is the better goalkeeper according to my assistant manager and the scouts at the club, and I may look to bring in a better back-up keeper than Renman over the transfer window. Defence is one place that we desperately need to improve due to departures earlier in the season before my arrival. We need another right-back due to Forsmark being our only recognised right-back. At least one more centre-back needs to come in too, whether it be to start games or just as back-up. However, the left-back position seems to be OK for the time being, with Wallgren and Marklund covering that role. All of our defence are in their twenties so it may be time to invest in some more experienced players to help the younger players. Midfield is a place where we are pretty stacked in as we head into the transfer window. However, three of our highest earners: Chennoufi (£325p/w), Lindmark (£230p/w) and Broman (£190p/w) are all central midfielders so I think one of them may have to leave the club to free up funds for other areas on the pitch. We are also very concentrated in central midfield, with 5 out of the 6 midfielders being central-based players. This means I either need to adapt to the conditions and the players currently at my disposal and play three in the middle or I need to go out and buy some wingers to change up the dynamics in the midfield. I plan on only playing one striker if the team was to my personal taste, but I think three strikers is a suitable amount. Timothy McNeil is my assistant managers favourite and last season he scored 7 goals in 24 games. However it was Lundback who finished our top scorer last season with 8 goals in 25 games. Wiberg didn't get much of a look-in last term but if he works hard enough he may force his way into the side. As the Swedish transfer window slams shut, teams across the board finalised their last deals last night in what has been a hectic window. Gefle IF - who are currently ruing their second consecutive relegation from the top-flight recouped a whopping £325,000 as they sold their best assets such as Anton Lans and Piotr Johansson to avoid financial dismantling. However it was also Gefle that spent the most this window, spending just short of £20,000 to assert their position as the league favourites. The highest amount spent on one player out of any Swedish team was the £1.3M that AIK Stockholm spent on Silkeborg's right-winger Robert Skov. The highest outgoing fee was Norrkoping's Linus Wahlqvist moving to Sky Bet Championship outfit Wolverhampton Wanderers for £3.5M. 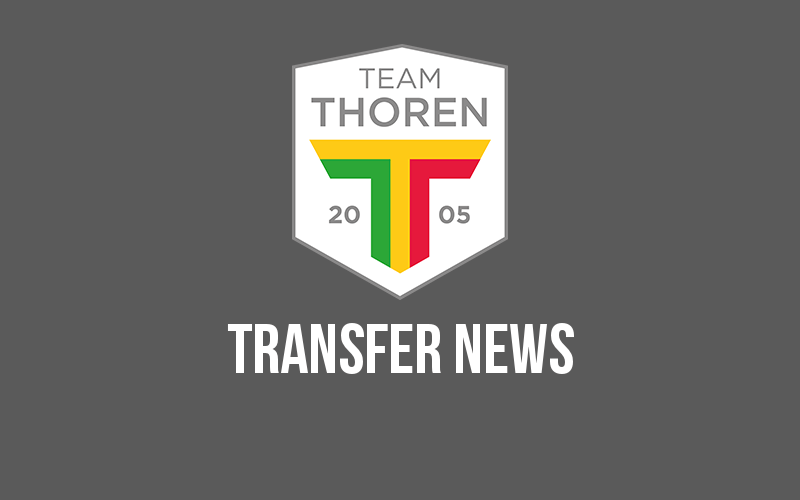 However, moving closer to home, Team Thorengruppen spent just £3,500 on players despite nine new arrivals at the Umea-based club. 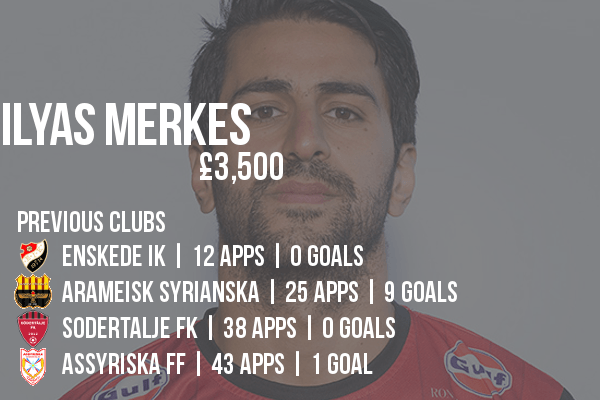 This was a deadline day deal for Enskede's Ilyas Merkes after the club recouped £28,000 in player sales this transfer window as the likes of Ahmed Al-Fadli signed for Ostersund for £3,800 and Robin Aberg leaving for Oddevold for the same price. Although it was Erik Olofsson that grabbed the headlines with a £20,500 switch to 2nd-tier Helsingborgs, led by former 83-time Norwegian international striker Kjetil Rekdal. 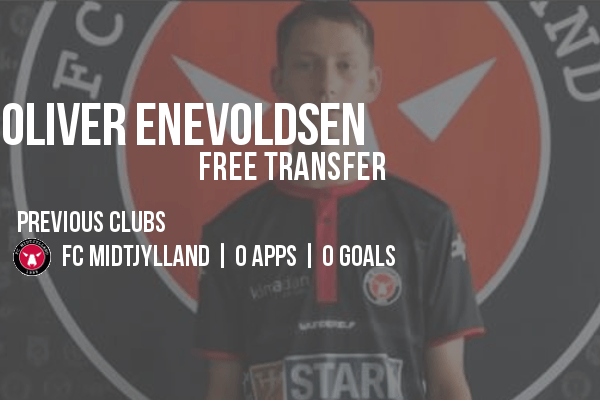 The first player through the door for Team TG this winter, though, came in the form of released FC Midtjylland striker Oliver Enevoldsen. The 19-year-old - capped at Under-19 level by the Danish national team - failed to break into last seasons Europa League outfit. The youngster has been given a first-team squad number this season and I have high hopes for 6'2" Enevoldsen. 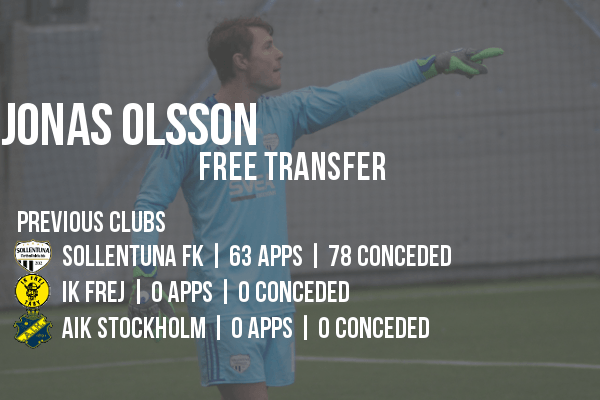 With former goalkeeper Ahmed Al-Fadli joining Allsvenskan outfit Ostersund, Jonas Olsson becomes our new first-choice goalkeeper. At 23 years old, Olsson is a younger option than the departing Al-Fadli and has bags of potential, with his best years still to come. He has played in this division last season with Sollentuna, with the keeper playing all 26 games in the season, but couldn't keep the newly promoted team from relegation last season. Another young goalkeeper joins the ranks as the former back-up goalkeeper Jonathan Renman was released by the club to free up the wage budget. 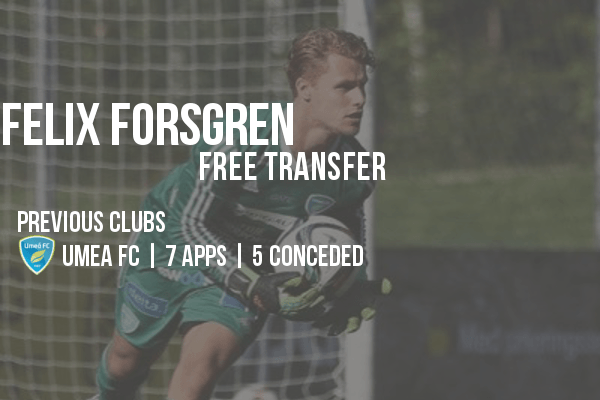 21-year-old Felix Forsgren joins us on a non-contract basis following relegation with our local rivals Umea FC from our division. Forsgren will work under Jonas Olsson to improve but if the keeper is free to leave at any point during his time at the club due to the non-contract deal he agreed to. 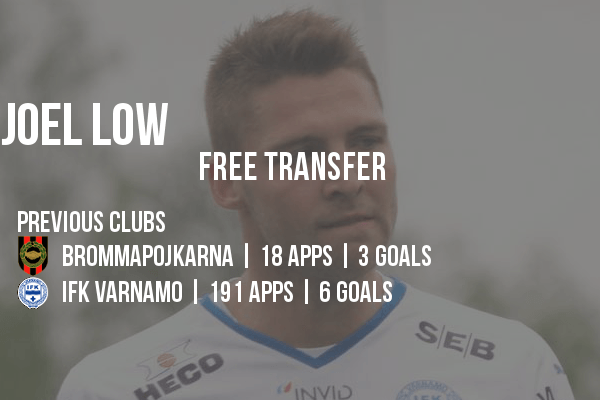 IFK Varnamo fan-favourite Joel Low joins us on a free transfer this season. The central-midfielder spent 15 years at his hometown club Varnamo, winning promotion from the third tier in 2010 and becoming a first-team mainstay for five years in the Superettan. In 2015 he left Varnamo for Brommapojkarna and won promotion from the third tier for a second time with Olof Mellberg's side last season. His promotion experience will become a great asset to our team this season as we chase the highest prize for this campaign. 26-year-old centre-back Viktor Eriksson followed Jonas Olsson from the relegated Sollentuna FK to join us on a two-year deal. Eriksson earns the number four shirt this season and from his preseason so far he looks set to start the season for us in the back four. The 5'11" is also able to play in a defensive midfield or central midfield role which certainly helps us due to our small squad size. As I inherited a squad which had no wingers and a very tight wage budget, I have decided to adapt to the squad that pre-existed rather than go for my personal philosophy of using wingers. This is why I brought in Linus Christensen who was recently released by fourth tier outfit Varmdo IF. We will be using a very central system tactically, also known as the 'Christmas Tree' formation and Christensen will be an integral part of this system, particularly due to an injury sustained to our best attacking-midfielder Adam Chennoufi. Linus Sjoberg joins us after being released by our divisional rivals IFK Lulea this winter. Like Christensen, he is an attacking-midfielder that we bought to bolster our options in that position. 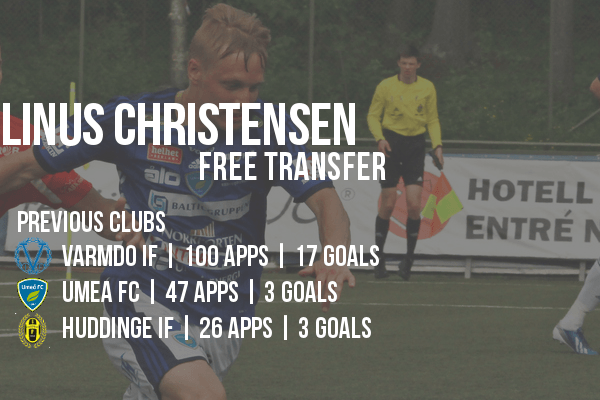 He is slightly younger than Christensen and that means he has more of his career left to grow into an even better player to contest Chennoufi when he comes back from injury. 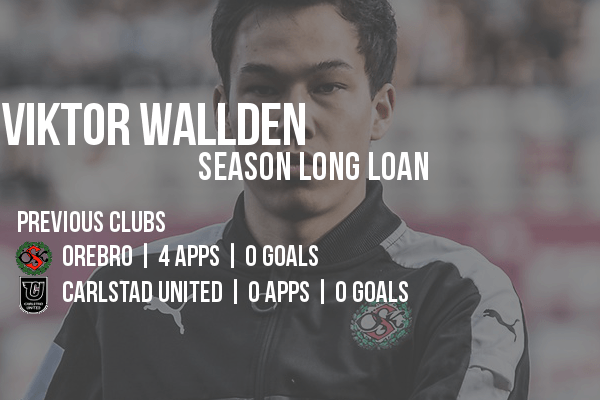 Viktor Wallden was my panic buy of the summer after the news of Adam Chennoufi's injury came through from my physio. He is a good player in this division and joins us from top-flight outfit Orebro on a season-long loan. We don't have to pay any of his wages which makes this deal slightly more economical. It will be a battle between Wallden, Christensen or Sjoberg for the two starting attacking-midfield roles in the formation until Chennoufi comes back. Becoming our panic-buy of the summer is Ilyas Merkes who joins us for a fee of £3,500 - the only money we spent on a transfer fee all winter. He is a centre-back but I purchased him because of his versatility across the back line as he can play as a full-back as well and we needed back-up for our only main right-back Markus Forsmark. The Syrian international is 31 years of age and has years of experience in this division. He has a contract until December 2019. They were all of the signings this transfer window as we enter the season with a slim squad of twenty-two players. I would say we have signed players who know this division well, but if they can lift us out of it into the Superettan will be a very big ask of me and we will find out where this squad will be able to get to within the first five games of the season. Preseason in my first ever football management job has been underwhelming, it's fair to say. 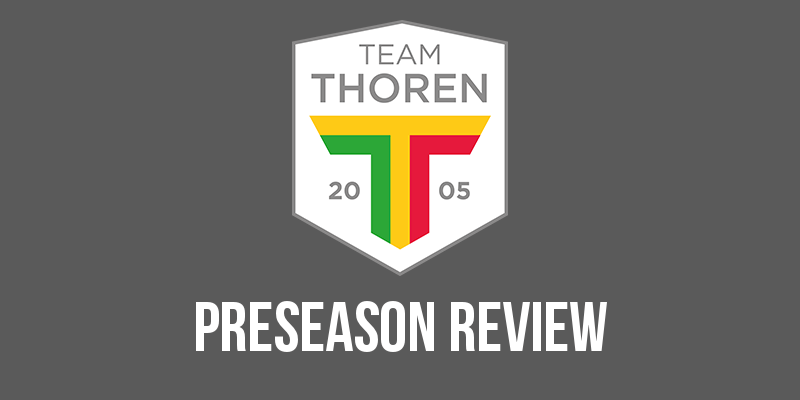 Apart from playing against two teams in the Finnish top-flight, our preseason consisted of several teams playing at a lower level than us. To say that we only managed to win three games out of seven - taking into account our opponents - it is a very poor return. I tested out two formations during preseason. One was the 'Christmas Tree' 4-3-2-1 formation, in which the name is pretty self-explanatory - it looks like a Christmas tree. The other was a Pep Guardiola-esque tactic that he used at Barcelona, a 4-3-1-2 formation with three CM's and one attacking midfielder. It's fair to say results were mixed with both tactics, but I had to adapt to the squad I inherited which had no wingers so any tactic was bound to be more centrally based regardless of my own philosophy. 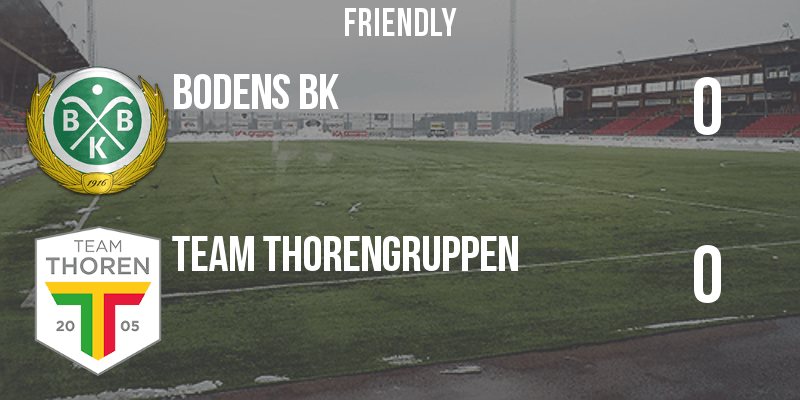 The warm-up began with a trip to Bodens' stadium - Boden Arena - for our first friendly against fourth tier opposition. Annoyingly, Bodens BK were the better team despite having lesser quality players as they had 10 shots on goal compared to our measly three. However, whenever we even got close to playing the style I wanted to implement we were torn down by Bodens' rough XI. They finished the game with 18 fouls and four players on bookings. It was a boring start to my reign, but it was only preseason. Our second match was my first at our home stadium - Nolia 1 - which holds a 1,000 people maximum, which even I was shocked to find out. 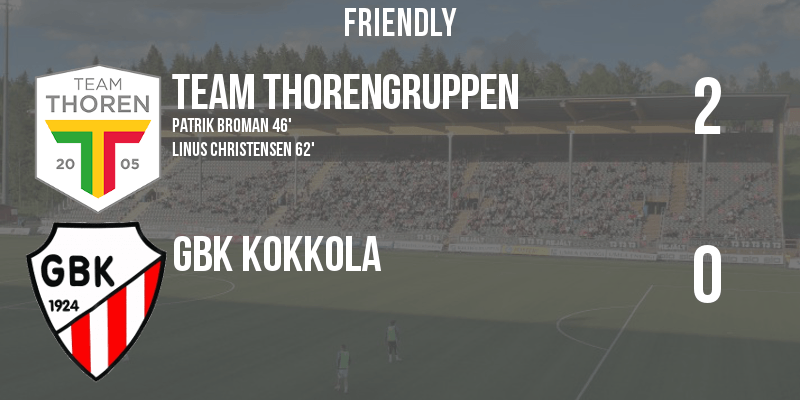 We were playing arguably a stronger team with SJK being in the Finnish top division, but I was delighted to see my tactic was working. We dominated every aspect of the game, unlike the Bodens BK match before where our efforts usually ended up with a man down. 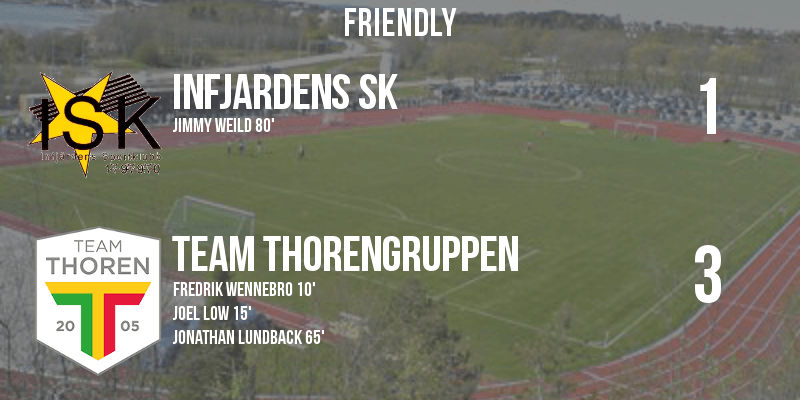 We won the match 1-0 with a headed goal from Jonsson in the last twenty minutes. Next was a match against an amateur Swedish side which we were expected to obliterate. In fairness, we did overrun them understandably and dominated the game. A clean sheet would have been pleasant but out of the two shots on goal that they had all game, they managed to sneak a penalty goal in the last ten minutes which I was slightly disappointed by. Like Bodens BK, Ilves are a team in the league below us. We were very evenly matched throughout the game however, and this led to both a very early goal by them followed by a late winner in the last ten minutes. I was once again disappointed by losing to supposedly weaker opposition. Kokkola are a part-time club in Finland, at a similar level to our own division. 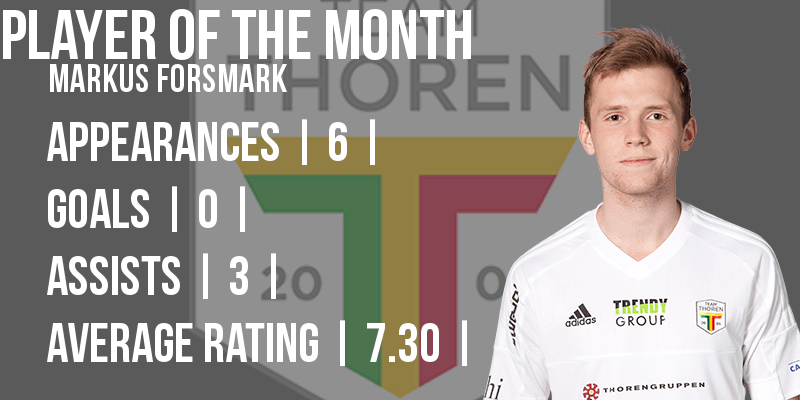 Markus Forsmark really stood out in this game and won man of the match with both of his assists for both goals. One of my new signings managed to get himself on the scoresheet in Linus Christensen which I was also happy with. I was happy with our third clean sheet of preseason and how we managed the game against a team equal in quality. Another team who are in the division below us got the better of us sadly, but it was a very rough game by both teams' account. In total 41 fouls took place as Pitea edged the win with an early goal via Edstrom's head. We were the better team, but somehow managed to leak a goal which is something that I will endeavour to remedy as the season goes on. 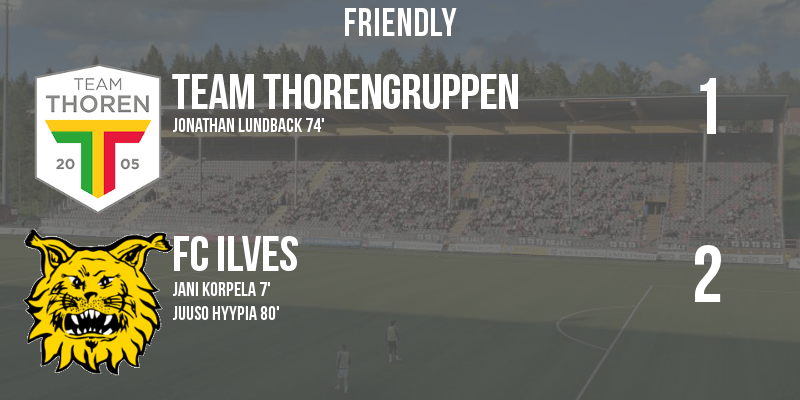 Our last fixture of preseason was once again against lower league opposition in IFK Timra. And yes, once again the team supposedly in a worse league than us managed to edge a victory with a goal minutes after the second half began. Timra matched us on the stats and in general play, so I was very disappointed with this result. The player of preseason for me was Markus Forsmark. When I joined the club I was actively seeking to turn Forsmark into a back-up player rather than a starter, but his performances over the last few games have been enough to get him on the team sheet every match. His three assists from the full-back position have all been remarkable in terms of quality and I look forward to seeing more from the 22 year old. We play four league games during April at the start of this season as we begin our campaign at home against Akropolis. Going into the game, we are the favourites for the season opener, despite Akropolis' high 3rd placed finish last season. Following that are the away games against Assyriska Norrkoping and Nykopings as well as another home fixture against Arameisk-Syrianska. I fancy wins against the first three opponents considering our signings in the summer but Nykopings will be a very interesting match-up. 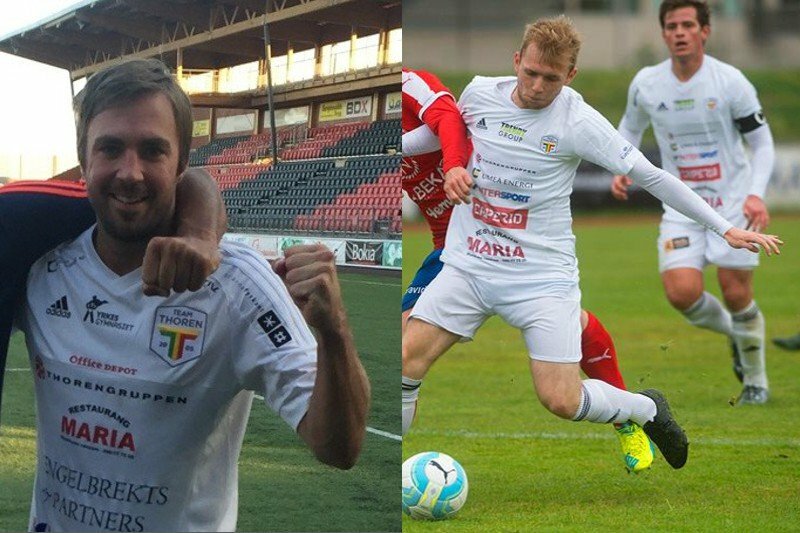 Team Thoren stalwart Hampus Wallgren and central midfielder Andreas Ljung are set to quit the Division 1 North club after a bust-up with the manager Chris Clark. Clark, 33, has only been at the club for 144 days since his arrival back in November and has just come off the back of a less than exciting preseason campaign. The news coming out of Nolia 1 seems to be the gaffer's first interaction with managerial pressure and player management. 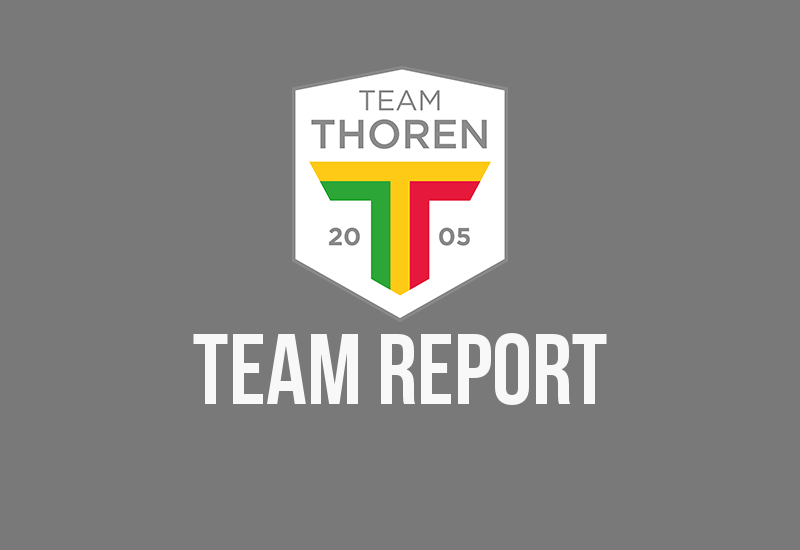 Sources close to both Wallgren - who has been at Team Thoren since his semi-professional career started back in 2007. Under the former leadership of André Ghanbari, the 27-year-old full-back was the unchallenged captain of the side up until his sacking in late October 2017. 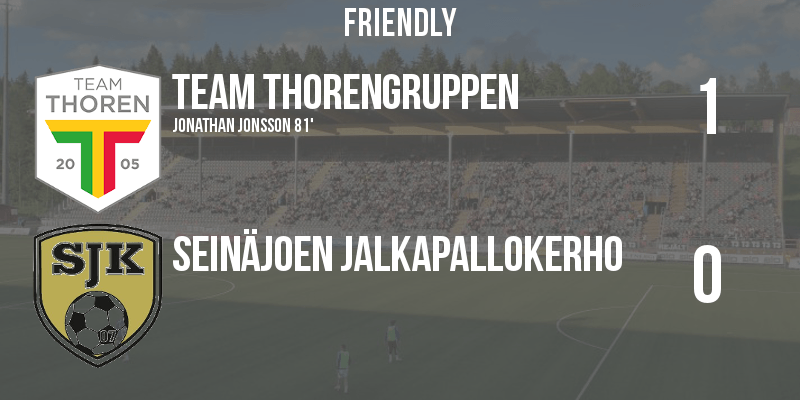 Wallgren has now been stripped of the captaincy for centre-back Jonathan Jonsson and exiled out of the team. It seems like the reasons for this are starting to come to light. 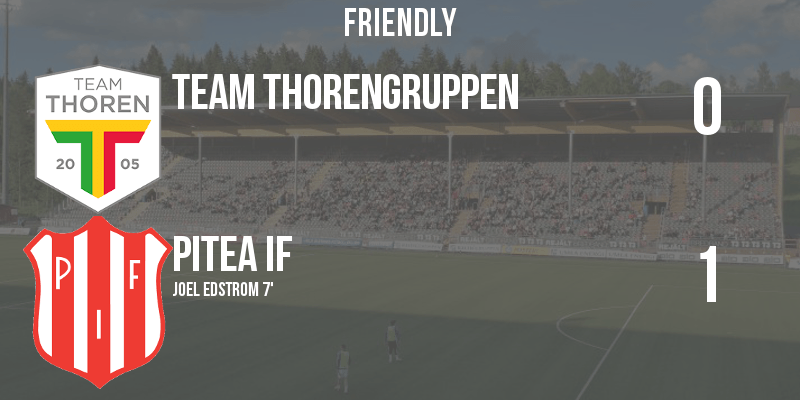 Wallgren had an argument with the new manager during preseason which ended with the left-back placed on the transfer-list and the player now seems to have a move set up with Team Thoren's preseason opponents Bodens BK on a free transfer which seems to be close to finalising. In the case of Andreas Ljung, the central midfielder has not been at the club for half as long as his teammate Wallgren has, but he didn't feature once during the club's preseason fixtures under Chris Clark. With a squad jam-packed full of central midfielders like new signings Joel Low and Linus Christensen, it's easy to understand who Clark's favourites are in his new team. It is understood by Vasterbottens-Kuriren that Ljung joins Wallgren on the transfer list and is currently negotiating a move with both Varmdo and Vimmerby in the division below Team Thoren in the hope of playing regular first-team football. With Clark's premiership at the club only in its infancy in comparison to Ghanbari's ten year reign, the unsettling of players can only be a negative thing following the club's uninspiring preseason and the sale of fans' favourites Ahmed Al-Fadli and Erik Olofsson in the winter transfer window. You are reading "Chris Clark: Lost In Football".